Select Fabricators works with many government agencies to provide countermeasures that assist in the protection of communications. Select’s high attenuation security enclosure can be configured to have a minimum shielding effectiveness of -85.7 dB in the range of 400 MHz to 18 GHz and a minimum of -96.9 dB at 1 GHz. Isolation of RF signal emanation for government agencies to prevent information leakage from bugging attacks or electronic eavesdropping. Border Security in-the-field isolation and forensic data gathering. Testing environments for research on next-generation security technologies including EmSec, TEMPEST, IEMI (Intentional Electro-Magnetic Interference) and HEMP (High Altitude Electromagnetic Pulse). 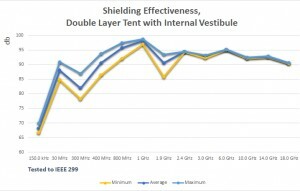 Select-A-Shield™ RF shielding pouches are designed to isolate wireless devices from receiving or emitting RF signals. 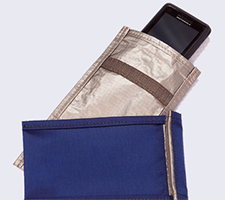 These “Faraday bags” prevent others from logging on and modifying the data on the electronic device. Lightweight and flexible, these pouches are made to absorb and reflect signals from entering or leaving electronic devices. Double layer conductive fabric with optional sports nylon cover assures shielding performance. 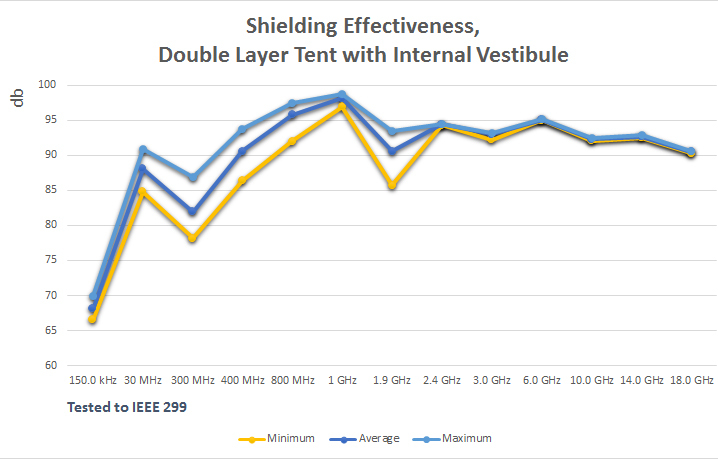 Field tests have shown a 99.99% average signal attenuation.